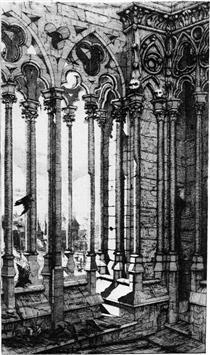 Charles Méryon (23 November 1821 – 13 February 1868) was a French artist who worked almost entirely in etching, as he suffered from colour blindness. 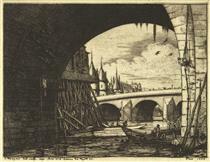 Although now little-known in the English-speaking world, he is generally recognised as the most significant etcher of 19th century France. He also suffered from mental illness, dying in an asylum. 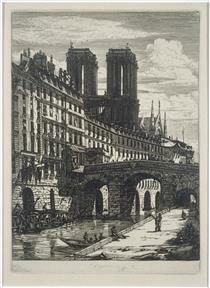 His most famous work is a series of views of Paris. 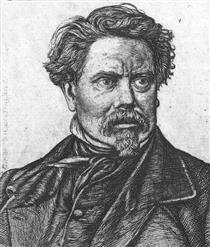 He was born in Paris, his father being an English physician and his mother a French dancer. 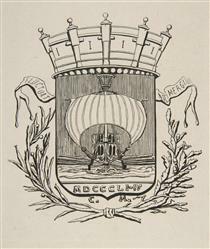 Méryon's mother brought him up, but died when he was still young, and Méryon entered the French navy, and in the corvette "Le Rhin" made the voyage round the world in the 1840s. 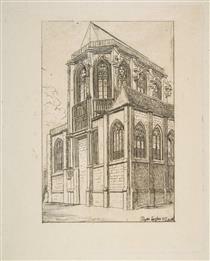 He was already a draughtsman, for on the coast of New Zealand he made pencil drawings which he was able to employ, years afterwards, as studies for etchings of the landscape of those regions. 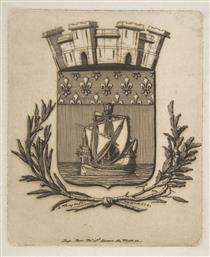 The artistic instinct developed, and, while he was yet a lieutenant; Méryon left the navy. 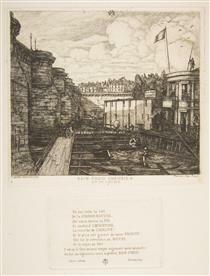 Finding that he was colour blind, he determined to devote himself to etching. 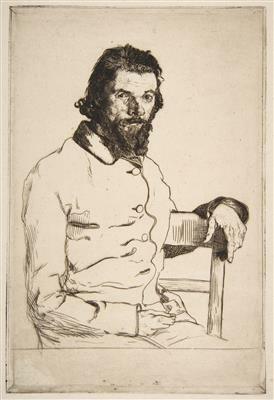 He entered the studio of the engraver Eugène Bléry, from whom he learnt something of technical matters, and to whom he always remained grateful. Méryon had no money, and was too proud to ask help from his family. He was forced to earn a living by doing work that was mechanical and irksome. Among learners' work, done for his own advantage, are to be counted some studies after the Dutch etchers such as Zeeman and Adriaen van de Velde. 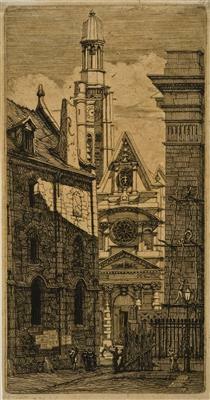 Having proved himself a skilled copyist, he began doing original work, notably a series of etchings which are the greatest embodiments of his greatest conceptions—the series called "Eaux-fortes sur Paris." 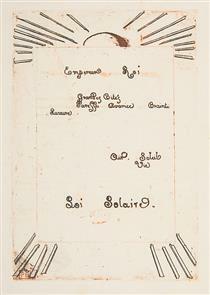 These plates, executed from 1850 to 1854, are never found as a set and were never expressly published as such, but they nonetheless constituted in Méryon's mind an harmonious series. He was a bachelor, yet almost as constantly occupied with love as with work. The depth of his imagination and the surprising mastery which he achieved almost from the beginning in the technicalities of his craft were appreciated only by a few artists, critics and connoisseurs, and he could not sell his etchings or could sell them only for about lod. apiece. Disappointment told upon him, and, frugal as was his way of life, poverty must have affected him. He became subject to hallucinations. Enemies, he said, waited for him at the corners of the streets; his few friends robbed him or owed him that which they would never pay. 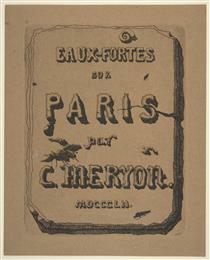 A few years after the completion of his Paris series he was placed in the asylum at Charenton. Briefly restored to health, he came out and did a little more work, but at bottom he was exhausted. 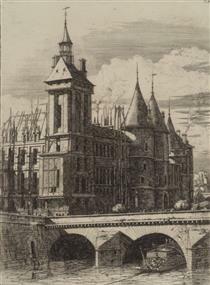 In 1867 he returned to his asylum, and died there in 1868. 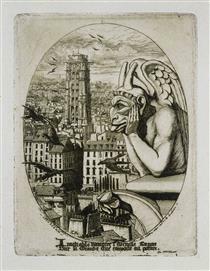 In middle age, just before he was confined, he associated with Félix Bracquemond and Léopold Flameng, skilled practitioners of etching. The best portrait we have of him is one by Bracquemond under which the sitter wrote that it represented “the sombre Méryon with the grotesque visage." 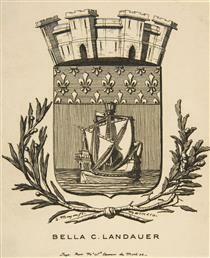 Coat-of-arms Symbolizing the City of Paris; Bookplate of Bella C. Landauer Charles Meryon ? La Loi Solaire Charles Meryon ?